Swelling is a common side effect that accompanies a broken foot. The bad news is that because it is painful and distracting, the swelling can make your experience feel unbearable. The good news is that there are things you can do to decrease your discomfort and help ease your broken foot experience, both at home and with the doctor's help. 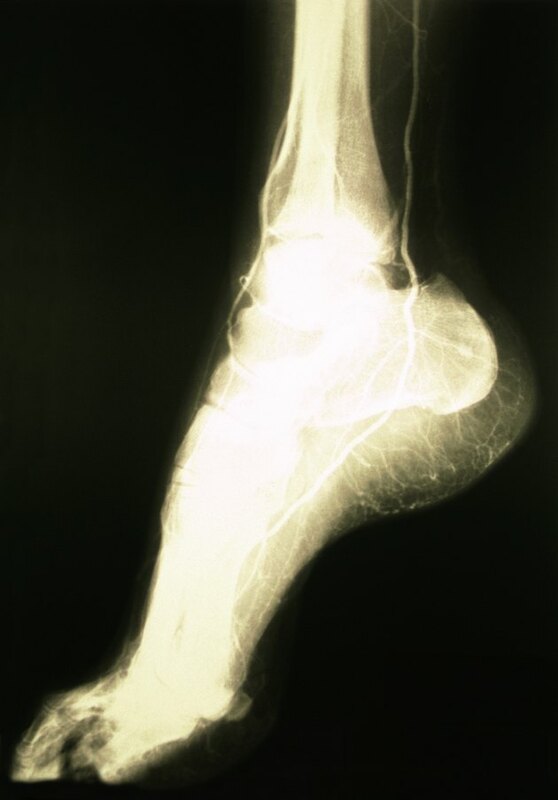 A broken foot, also called a fractured foot, is one of the most common breaks when it comes to human bones. Children are more likely than adults to break a foot, simply because it is so easy to do. Twenty-six bones exist in the human foot and most are small and fragile. Breaking a foot can happen many different ways. Usually, it results when something is dropped on the foot or it is slammed into a hard object that crushes or snaps one of the bones. It usually happens quickly such as a fall or another sudden motion. Broken bones in the foot cause pain and swelling. Sometimes a break goes undetected for a time, particularly with children, but it's the swelling that provides that leads to the diagnosis. In most cases, the swelling is significant enough to prevent you from walking, even if you can absorb the pain or the pain is less due to the bone's location. For example, broken toes are usually less painful than other bones and it is sometimes possible to walk on it, unless the swelling is too severe. Sprains, too, can cause severe swelling, which can make the diagnosis of a broken foot more difficult. Many ways exist to treat swelling associated with a broken foot at home, whether before or after you see a doctor. Elevation is a great way to start; it not only reduces the swelling but can also reduce pain. Make sure you keep your foot elevated above your heart for best results. Simply lie flat with your foot propped up on something soft and supportive. Ice can also reduce swelling. Wrap some ice in a towel and apply it to the swollen area; this is especially effective after the initial injury. For the first day following an injury, it is generally advised to apply ice every 30 to 60 minutes, for 15 minutes at a time. Over-the-counter NSAIDs, non-steroidal anti-inflammatories, can also assist you in dealing with the pain and swelling. Speak to your doctor before starting any regular pain management through medication. If you think you have broken your foot, see a doctor immediately. A cast may be necessary, and a doctor can advise you on how best to manage swelling and pain according to your personal medical history and needs. If you suspect a broken foot, try to stay off your feet as much as possible to avoid worsening the injury.